Even just typing it, looking it in the face, feels like I’m being stabbed in the gut. Yet, if I had to sum up my everyday thoughts, the majority of the time they would be teetering around this idea. I missed the last three days at the gym. I’m late on that blog post. The emails are piling up. The house is a mess. I let my husband down. I forgot about that meeting. I don’t have enough time. It’s terrifying when we open ourselves up for the enemy to keep pushing that knife in deeper and deeper. The last two days I have been leaning this lesson hard. I’ve been a wreck of emotions and taking everything said in the complete opposite way of how it was intended. I felt attacked. Stressed. Disappointed. A failure. That word just kept coming back, taunting me, reminding me of every little thing I had not accomplished as I had planned. The book draft that didn’t meet my deadline, the people I was letting down, the body I was not improving, the blogs I was behind, the platform I wasn’t building, the words I hadn’t read, the job I didn’t have, the money I wasn’t making. There is no end once that landslide of self-condemnation begins. Thankfully, I serve a God who is bigger than my shortcomings. So much bigger. Failure is the best place to start with God. When we are failing, that means God has room to come in and succeed. As humans we have a tendency to take on responsibilities and think we can handle everything, but we can’t. Sometimes I think God steps in to make us fail on purpose to teach us humility; we need a real reminder that we cannot bear the weight of the world on our shoulders. When we finally admit that we can’t do it, God can step in and say, “I can.” Until we relinquish that control, we do everything in our power to keep Him out of the equation, even if we’re working toward a calling He has given us. 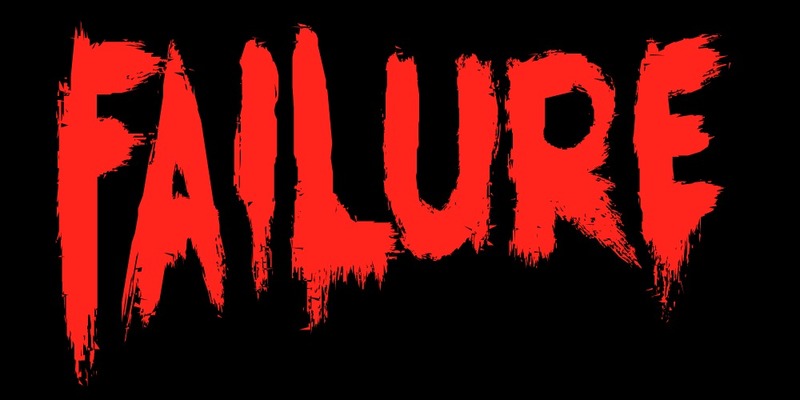 In the world, failure is the epitome of defeat. Your strength did not pan out and now you’re face down in the dirt. But with God, you’re face down in the dirt, admitting your failure, so He can work in you, lift your eyes back to the heavens, and face the giants before you with His strength. We need to realize that we need Him; He’s not just a convenient god to ask for help sometimes. He is the very breath we breathe. His strength is the victory. Our strength is the failure. Did you see that? Our strength is the failure. The more we try to rely on our own capabilities, the more we are hurting ourselves in the long run. Admit the failures, the flaws, the shortcomings; that is where victory comes from. His victory. Let Him work His miracles through your failures. Feeling like a failure is bound to happen, and keep happening, to all of us. Your perspective of that failure can change everything. Are you laying face down in the dirt, taking your failure as the ultimate defeat? Or do you lift your eyes to heaven, accepting His strength over your pride? Failure is that first step we must take for real transformation through Christ.